Trying to understand the EFC number and what it means? An EFC number is the "expected family contribution", or the amount a family is expected to pay for their student's college education. It short, the EFC has an effect on how much federal grant money you will be given for college expenses. Most parents misunderstand how an EFC number is used and it is generally assumed that a low EFC number is a better number. In general, a lower EFC number will result in a higher award from the government. EFC numbers are calculated by schools using the same scale as does the government. Once your FAFSA form is received, the schools arrive at a number between 0 and 4617 that will result in a federal student aid grant for the following academic year. Any person with an EFC number at 0 will receive the maximum amount of student aid, while a number over 5273 will result in no aid at all. The numbers, and the amount awarded, fluctuate annually. The closer you can get to zero, the more federal dollars you'll have to help pay for tuition and fees. However, if your family receives a low EFC number that is still higher than what is affordable, it is not a good EFC number. For example, an EFC number of 500 means that your family is expected to pay at least $500 to cover tuition and fees, and you may be eligible to receive aid to cover tuition up to that amount. Even though 500 is a fairly low EFC number, if your family already lives on a tight budget, finding an extra $500 may seem impossible, making it a bad EFC number. Enrolling more family members, such as parents, in college. If you do not feel comfortable with those options or they do not seem feasible, there are ways to make your EFC number less of a burden. Students typically fill out and submit the FAFSA and get their EFC number before applying for scholarships. Merit-based scholarships (including those for artistic and athletic ability) do not usually take into account the EFC number. If you have an EFC number of 1200 and get a scholarship for $1000 a year, suddenly your family is only responsible for $200. In addition if you have an EFC number that you think you cannot afford, you may apply for need-based scholarships through the college or independent organizations. An EFC number under 5273 often qualifies you for a work study job. While most of these jobs are catered to students, giving them flexible hours and time to study, their pay is often low and any money earned is directly applied toward tuition and fees. If you qualify for a work-study job, you have the option of turning it down. You may be able to get a job off-campus or a higher-paying position on campus and make money above what the work-study position offered. However, you must be disciplined enough to apply your earnings toward tuition and fees. This decision is difficult for students who have their hearts set on attending a specific college. However, even a low EFC number does not guarantee that a school will provide 100% financial aid. If the amount of money you receive in federal financial aid covers a significant portion of your school's tuition and fees, you may have better luck getting the additional funds covered through your school's financial aid department than if you would still owe thousands of dollars after federal financial aid is applied. 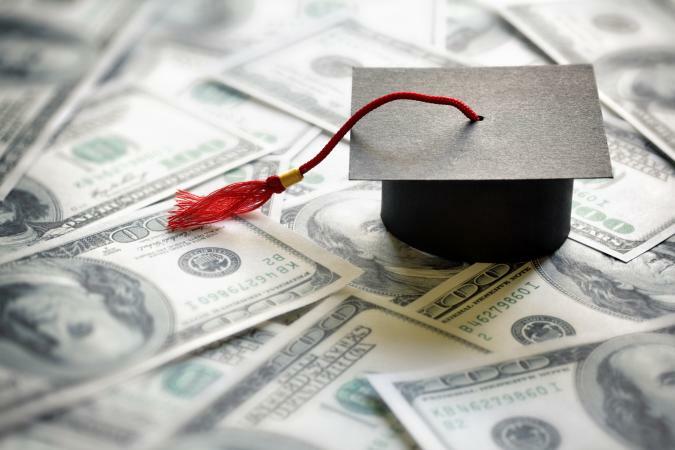 Overall, there is no such thing as a bad EFC number as long as your family can afford to pay or cover with scholarships the EFC and whatever the difference is between financial aid and tuition. Regardless of your EFC, it is important to find ways beside federal grants to pay for college. Seek out colleges that guarantee to cover a student's full financial need or, if you have a low EFC, seek out scholarships that consider a student's financial need before awarding the scholarship.